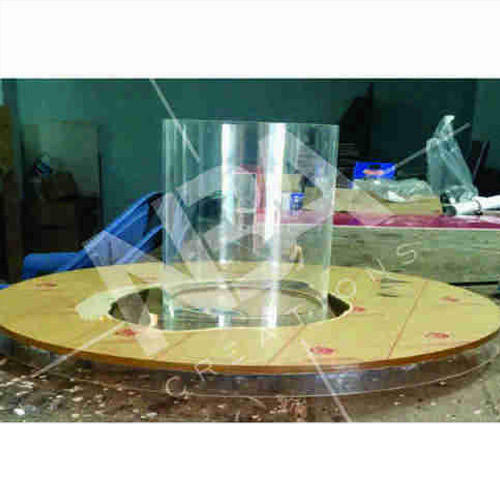 We have established ourselves as a trustworthy service provider of Acrylic Industrial Fabrication Services.A team of our experienced professionals render these services in an efficient manner and within a promising time-frame so as to provide maximum satisfaction. Price Range: Rs 100-25000 /Square Feet. We have established ourselves as a trustworthy service provider of Acrylic Industrial Fabrication Services.A team of our experienced professionals render these services in an efficient manner and within a promising time-frame so as to provide maximum satisfaction. Price Range: Rs 100-25000 /Square Feet. We, “NBA Creations”, Incepted in the year 2018, are one of the leading Manufacturer of an excellent quality of Sign Board, Acrylic Letters Boards, Acrylic Displays, Acrylic Table Top, Acrylic Podium, Acrylic Boxes, Acrylic Mementos, etc. And our products create high visual impact and can gather the attention of the large public at one go thereby being one of the most cost-effective choices by our clients. An impression built on reliability and quality, we take all efforts in manufacturing solutions that met the exact requirement of our clients whether be it indoor or outdoor application. Our products find usage in shopping centres, offices, bars or restaurants and enhance the dynamics of any architectural building or abode. We have scaled heights of success with our penchant for innovation and high-class service that is delivered to our clients at most competitive prices in the industry.